I have been working as a therapist, supervisor, trainer and workshop leader since 1981, having trained originally as a Reichian bodywork therapist. (You can find out something about Reichian therapy and its founder Wilhelm Reich by going here.) Since then I have completed an MA in Psychoanalytic Studies; trained (but don't practice) as a cranio-sacral therapist; attended a number of seminars in Process Oriented Psychology; and developed my own integrative approach to psychotherapy. 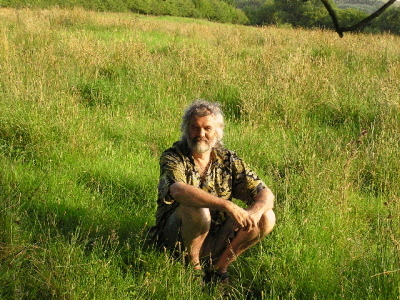 I offer workshops and seminars on a range of themes, including embodiment, ecopsychology, and the politics of psychotherapy; and am the founder of, and a member of the training team for, the postgraduate training in Embodied-Relational Therapy, as well as being the founder of the Wild Therapy project, 'bringing therapy into the wild, and wildness into therapy'. I live and see clients in St Blazey, Cornwall. I identify myself as a body psychotherapist, but it's not really a very satisfactory term: it sounds as though I only work with people's bodies, whereas of course I work with the whole of them, united bodymindspirit. My goal is to follow the client wherever their process takes them; but a central concern is the nature of the embodied relationship which the two of us can grow together, and how this reflects the themes and issues of the client's life. I sometimes say thatI aim to help you remember who you are and what you're doing here. Following someone's spontaneous process can end up in some unusual places; but often the session will be spent sitting and talking together, in the way that most people expect. Other possibilities include (by mutual agreement) working with breath; with visualisation and fantasy; movement; and working out of doors. I am open to various practical arrangements, but prefer long term work to short term. I charge on a sliding scale, normally between £45 and £60 an hour. I am not currently available for new clients. However my partner, Helene Fletcher, who is also a body psychotherapist, is reopening her practice, and you can see her web page here. You can contact me on nick@erthworks.co.uk, or by phone on 01726 817620. Workshops and Courses For workshops and courses with Nick Totton, go here. For the training in Embodied-Relational Therapy, go here; for ERT workshops led by myself and by others, go here; and for the Wild Therapy one year training go here. The Water in the Glass was published by Rebus in 1998. Psychotherapy and Politics came out from Sage in 2000. Character and Personality Types (with Michael Jacobs) from Open University Press in 2001. 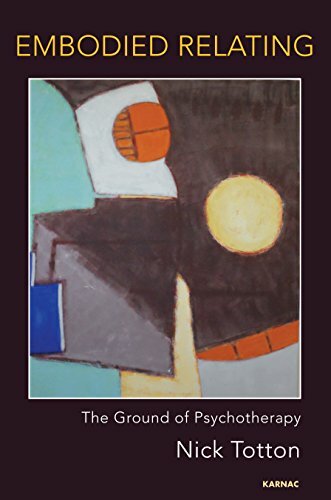 Body Psychotherapy: An Introduction from Open University Press in 2003. Press When Illuminated: New and Selected Poems, 1968-2003 came out in 2004 from Salt. I have also edited Psychoanalysis and the Paranormal: Lands of Darkness (Karnac, 2003), New Dimensions in Body Psychotherapy (Open University Press), and The Politics of Psychotherapy (OUP), and co-edited Implausible Professions (PCCS, second edition 2011). I am consulting editor,previously editor, of the journal Psychotherapy and Politics International; and on the editorial board of Self and Society. Embodied relating is embedded in our everyday life: we can all ‘do’ embodied relating, though some do it better than others. Like many other important aspects of life, it generally happens of its own accord, but sometimes benefits from the sort of close examination which tends to happen in therapy. However, psychotherapy has a history of keeping embodiment out of its field of awareness, and of preferring language-based relating to all other kinds - indeed, until quite recently, of downplaying here-and-now relationship altogether. All these things are now changing; and this book is intended to be part of the change. Embodiment and relationship are inseparable, both in human existence and in psychotherapy. 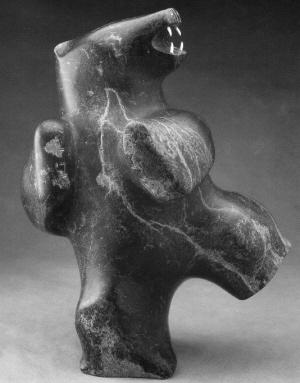 If we explore embodiment, we encounter relationship; if we explore relationship, we encounter embodiment. Therapy is more powerful when the practitioner is able to recognise the constant interplay between these two aspects of being human, and to follow and support the shifts of change from one to the other. 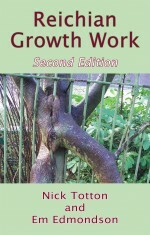 The first edition of Reichian Growth Work: Melting the Blocks to Love and Life came out twenty years ago, and it has long been out of print; for some while we made it available on the Internet. Now there is a heavily improved and updated new edition from PCCS Books. Reichian Growth Work sets out to convey the essential features of Reichian therapy in concrete and easily understandable language. The style of body therapy which it describes is democratic, growth-oriented and undogmatic, while still committed to Reich’s radical description of human beings and their difficulties. This volume brings together 24 of Nick Totton’s articles and book chapters from the last thirteen years, all exploring in different ways the relationship between therapy, the world and society. A central argument is that therapy, if it is to be effective, cannot and should not be risk-free or risk-averse. Among the themes addressed are professionalisation and regulation; the fetishisation of boundaries; democracy and therapy; intimacy; embodiment; overwhelm; and ecopsychology. Throughout, there is a two-way dialogue between therapy and politics, with each enriching the other. Nick Totton argues that therapy is intrinsically without goals, and therefore cannot usefully be harnessed to the task of relieving symptoms and getting people back to work. This also means that therapy offers a model for a different kind of politics based not on policies and demands, but on process. Although regulation in the UK is temporarily halted, the long term battle over who controls psychotherapy and counselling is not over. So this collection of direct or implicit arguments about the wild nature of therapy, and its intrinsic unsuitability for domestication, is both relevant and urgent. Therapy is by nature wild; but a lot of it at the moment is rather tame. This book tries to shift the balance back towards wildness, by connecting therapy with ecological thinking, seeing each species, each being, and each person inherently and profoundly linked to each other. Therapists have always tried to help people tolerate the anxiety of not being in control of our feelings, our thoughts, our body, our future. Human efforts to control the world are well on the way to wrecking it through environmental collapse: the more we try to control things, the further out of balance we push them. "Vital signs" are, of course, the basic physiological measures of functioning which health practitioners use to assess the gravity of a patient’s predicament. 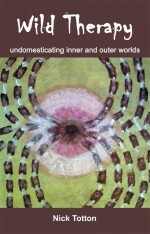 This anthology focuses not so much on our physical predicament, with so many of the Earth’s systems severely stressed and beginning to fail – there are plenty of other places to read about this Instead we focus on our psychological predicament, as news of the situation slowly penetrates our defences and we struggle as individuals and as a society to find an adequate response. By “vital signs” we also mean signs that such a response is beginning to take shape: signs of hope, signs of healing. 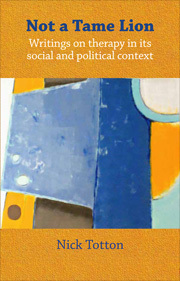 This volume brings together 24 articles and book chapters from the last thirteen years, all exploring in different ways the relationship between therapy, the world and society. A central argument is that therapy, if it is to be effective, cannot and should not be risk-free or risk-averse. Among the themes addressed are professionalisation and regulation; the fetishisation of boundaries; democracy and therapy; intimacy; embodiment; overwhelm; and ecopsychology. Throughout, there is a two-way dialogue between therapy and politics, with each enriching the other. I argue that therapy is intrinsically without goals, and therefore cannot usefully be harnessed to the task of relieving symptoms and getting people back to work. This also means that therapy offers a model for a different kind of politics based not on policies and demands, but on process. I am a founder member and ex-chair of the Psychotherapy and Counselling Union, which exists to support therapists and therapy.